XRay Vision, Augmented Reality and Smart Factories. PLN Group Managing Director, Blair McKolskey, is currently visiting the United States touring some futuristic factories which are on the cutting edge of the Internet of Things. Blair is part of the Internet of Manufacturing Delegation, led by Callaghan Innovation. Throughout the trip, the group is connecting with the latest trends in US manufacturing as it moves towards a new industrial age. They’re also getting an exclusive inside look at leading Midwest factories and meeting some of the new trendsetters in America. DAQRI is a leader in Augmented Reality. First up – Blair visited Los Angeles-based DAQRI, a leader in the Augmented Reality space, building both hardware and software designed for real world industrial environments. At DAQRI Blair had the opportunity to experience x-ray vision when he tried on some of their innovative smart glasses. DAQRI’s smart glasses and helmets are literally helping their clients to see through walls. One application allows builders, engineers, and designers to take their Building Information Model (BIM) to a construction site, wear it on their heads, and experience it as an immersive, full-scale 3D environment. 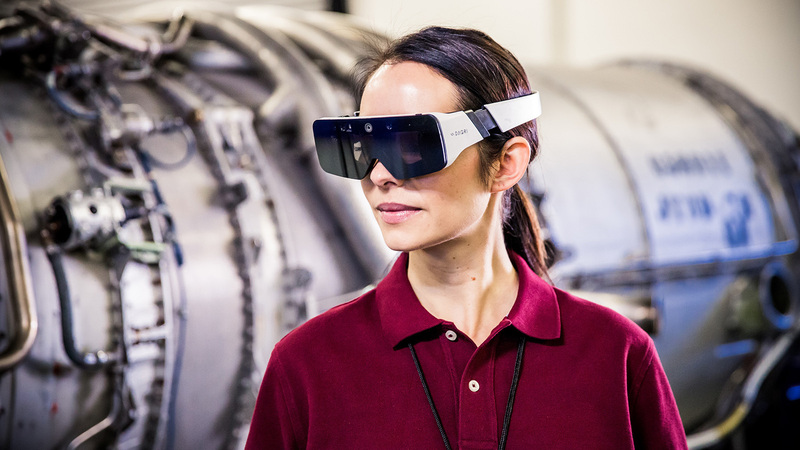 The smart glasses are lightweight, and can be used in many industries such as automotive, aerospace and healthcare. Imagine being able to look at complex tasks virtually anywhere and collaborate on them in real-time. This actively reduces errors, speeds productivity, and makes learning and knowledge transfer so much more effective. DAQRI is also making smart Heads-Up Display (HUD) technology. Data is projected on the car windscreen, enhancing safety by making information visible without the driver needing to look away from the road. It sounds futuristic but it’s already used in more than 150,000 vehicles. A cutting-edge manufacturer - the Trumpf Smart Factory in Chicago. Image © Simon Menges. Chicago is well known for its incredible architecture, and Trumpf’s new $30M smart factory is recognised as one of Chicago’s most noteworthy new structures. The exterior is marked by rusted corrugated metal and vast windows, while the highlight inside is a “skywalk” snaking through trusses made with Trumpf machinery. Billed as the "Factory of the Future" the Trumpf Smart Factory turns high-tech machines and innovative production processes into showpieces in an exhibition. This factory is nearly fully automated using robotics, data sensors and Internet of Things. 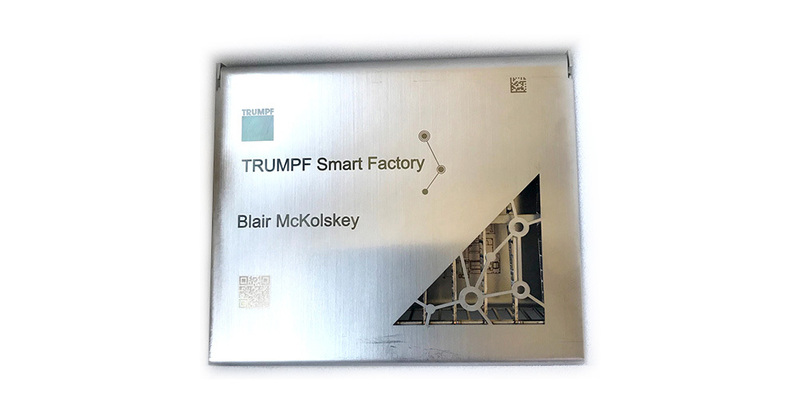 Blair had the opportunity to code sign a product with his name on it and send it to production. The finished result was ready and waiting for him by the end of the factory tour. This demonstrates the ability to digitally network machines to control the entire production process from design right through to delivery. Impressive! To learn more about Blair's experience on tour, contact us.